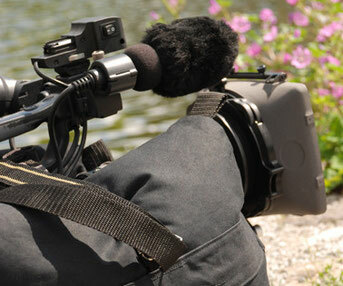 The stable tripod / saddle for your camera, camcorder or SLR camera with telephoto lens. With this example, you can find great "low angle shots" make or stable shooting from a car. Now even more attractive: made of waterproof outdoor equipment and refillable. 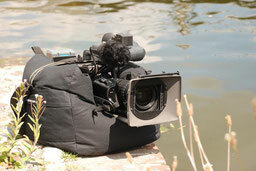 With a stable camera-bag is an excellent stability in the recordings realized in less convenient angles. It is essentially to achieve a simple U-shape in a sort of sandbag with riemcontructies to secure the camcorder, which at very low shots or other positions where the tripod tripod no chance nevertheless stable recordings. All models are equipped with an adjustable shoulder strap. 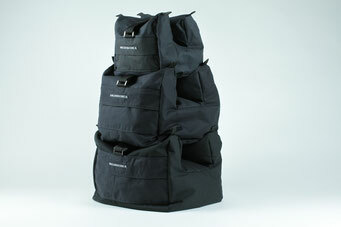 The camerastabielbag should act as a tripod which has contact with a solid surface. It can not be used as a carrying case to transport the camera. You put your camera, camcorder or digital camera with telephoto lens on it. After you have formed the bag for your camera to put your camera stable fixed through straps. The solution if you from the ground or from a vehicle vibration-free withdrawals or l ow angle shots to make. Works as a small tripod such as baby legs, lowbowl or a hi-hat. 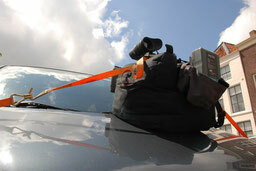 The loops which has found the camerastabielbag you the opportunity to fix the bag on eg the bonnet or roof of the car. The necessary straps with wrap hooks are available in most hardware stores. For cameras with big long lens camera stable pillows are perfect. With a stable camerastable-bag excellent stability is achieved in less convenient angles. When you order a product from camerastabiel.nl than this especially for you by hand is produced from outdoor waterproof material . Which make the products of camera steady so special and you can choose to deviate from the standard format. The bags are refillable through a properly shielded zipper. 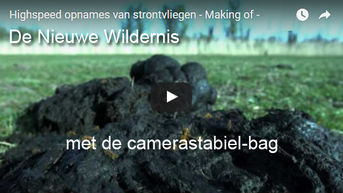 Beautiful recordings were made for the feature film The New Wild About Oostvaardersplassen. This was made possible by the use of the Camera Stable bags. 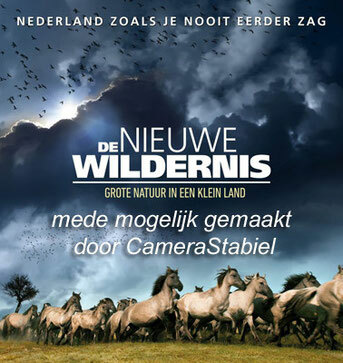 Film The New Wilderness has been great here and we are very proud. Would you also make wonderful creative shots? Order today a Camera Stable. Click here for more experience with the camerastabielbag . Click here to share with us your experience .